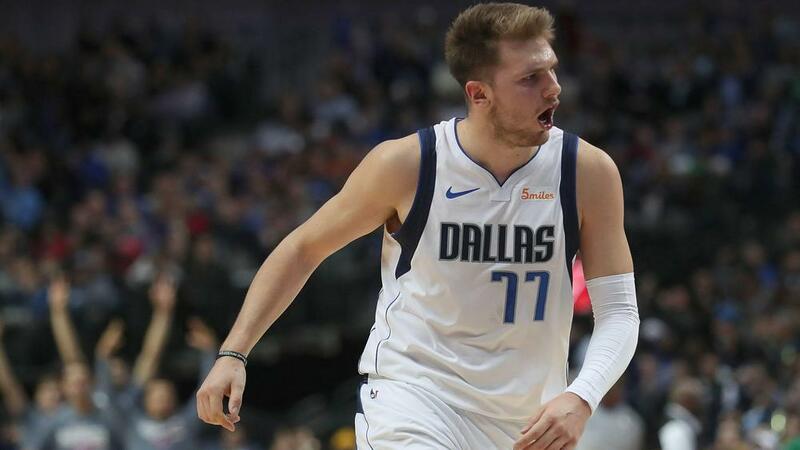 Luka Doncic starred to lead the Dallas Mavericks to a thrilling win over the Minnesota Timberwolves in the NBA on Friday. Doncic hit three straight go-ahead shots in the final two minutes to lead Dallas to a 119-115 victory. His first shot came in the paint to give the Mavs a 112-111 lead, his second gave them a 114-113 advantage and the third was on a transition three-pointer to give Dallas a lead they would never relinquish. The 19-year-old scored 29 points to go with 12 assists and eight rebounds to lead the way for the Mavericks. Hawks rookie Kevin Huerter scored a career-high 29 points in Atlanta's 123-121 win over the 76ers. Wizards guard Tomas Satoransky tallied his first career triple-double with 18 points, 12 rebounds and 10 assists in Washington's 113-106 win over a Giannis Antetokounmpo-less Bucks team. Rockets star James Harden stayed hot, tallying another 40-point triple-double with 43 points, 12 assists and 10 rebounds in a 141-113 win over the Cavaliers. Nets guard Spencer Dinwiddie did not have his best game as he scored eight points on one-of-seven shooting off the bench in Brooklyn's 122-105 loss to the Raptors. Brooklyn were minus-24 with Dinwiddie on the floor. Pacers forward Domantas Sabonis threw one down in the Pacers' 121-106 win over the Knicks. The Spurs and Thunder are coming off of one of the best games of the season in a double-overtime thriller Thursday and could deliver again.